Bodkin Design & Engineering, LLC will be exhibiting at Photonics West in San Francisco this January. Bodkin Design will be demonstrating the FireflEYE S185, along with new software capability, at their exhibition booth. The system is used extensively in UAVs for precision agriculture, and by other researchers, agronomists, geologists, chemists, and manufacturers to deliver unprecedented datasets for chemical analysis, quality control, pollution monitoring, and more. Snapshot hyperspectral technology allows spectral and spatial information to be collected simultaneously into a 3-dimensional dataset or as a video stream yielding a 4-dimensional dataset. Snapshot spectral imaging can be accomplished in many ways; however, the patented Hyperpixel ArrayTM method employed in the Cubert FireflEYETM system benefits users with its ability to collect spectral information without temporal or spatial disparity that plagues scanning slit or filter array instruments. Not only will the FireflEYE imager be on display, but Cubert GmbH plans to unveil their latest software interface. The new interface comes with the 2.1.0. Fuchsia software release, which comes tightly integrated with a new automatic classification toolbox. Users may install perClass Toolbox for Matlab® directly via the Cubert installer. Multi- and hyperspectral images, acquired by the complete range of Cubert cameras, may be directly imported into the perClass environment. A rich set of interactive visualization, data modeling and classification tools are available for rapid development. 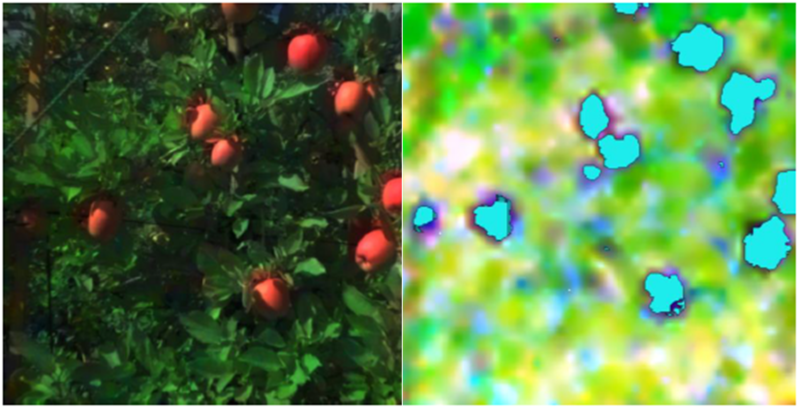 Automatic classification and identification of fruit on trees. We invite you to join the principals of Cubert and Bodkin at booth #2610 at Photonics West (January 30 – Feb 1, 2018) to learn how snapshot hyperspectral can help you succeed. Not planning on attending Photonics West? No problem. For more information or questions about Cubert products and pricing, please contact Bodkin Design & Engineering at info@bodkindesign.com; or visit our website at www.bodkindesign.com. Bodkin Design and Engineering, LLC, headquartered in Newton, Massachusetts, has been providing customized engineering solutions, concept development, and production for hyperspectral imaging systems since 1992. The company serves the military, international OEM, commercial, and research communities. Bodkin Design is the exclusive distributor of Cubert products in North America. To learn more, visit the website at www.bodkindesign.com. Cubert GmbH is a German company with global reach serving precision agriculture, machine vision, biomedical markets and more. 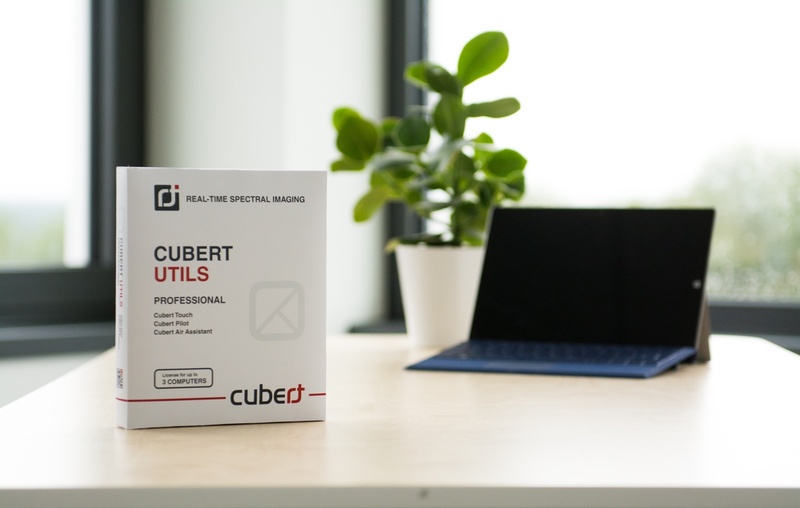 Cubert has leading-edge imaging product in the VNIR wavelength ranges bridging both multi and hyperspectral domains serving scientific, aerial, and microscope applications.